The 1-HYDRO Inline Monster grinder provides complete protection for downstream equipment – in a small package. 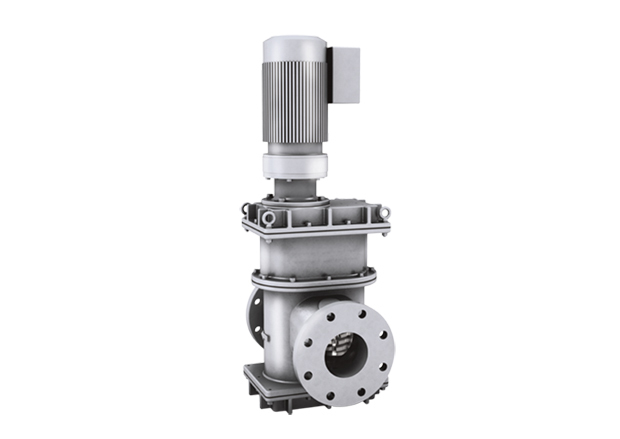 Packed with power, this inline sewage grinder converts the 2-3 hp (1.5-2.2 kW) motor into a cutting force ready to keep fluids flowing through pumps, valves, centrifuges and heat exchangers. Two rows of sharp, steel cutters rotate slowly and with incredibly high-torque to break down solids in sewage, sludge and slurries. The 1-HYDRO easily bolts into pipeline and can be mounted in any orientation. The 1-HYDRO is and economical solution for lower flow applications. Its small package makes it ideal for protection sewage pumps in office buildings, apartment complexes, resorts and retail centers. It works well in food processing plants protecting systems in waste streams. 1-HYDRO Inline grinders are also found in digester, manure processing and food waste applications to protect processing systems or breakdown feedstocks. Check out our Monster Industrial solutions for food waste reduction and learn more about the issue here. 1-SHRED - An efficient an affordable grinder for low volume shredding. 3-SHRED - The workhorse of the Monster Industrial Family - This is our most popular shredder. 4-SHRED-1 - For those larger shredding projects that require higher torque and throughput. 7-SHRED-1 - Our most powerful twin-shafted shredder ever - can generate peak cutting force of 25,000-lbs (11,000 kg) of force.